What Goes Where In Each Cart? It is important to process disposables correctly to avoid contamination of your recyclables and the recyclables in our truck. Help us keep items out the landfill by adhering to our recommendations below. Mt. 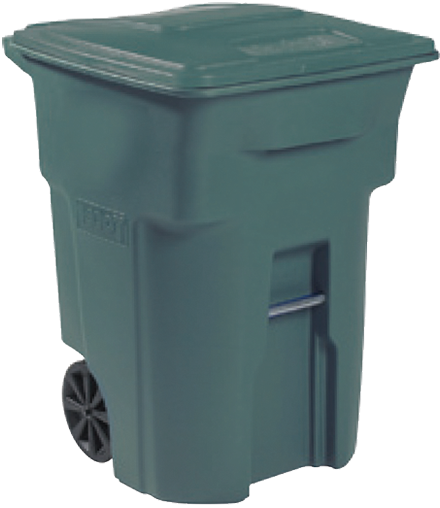 Diablo Resource Recovery offers Brentwood residents weekly garbage, recycling and yard waste service curbside pick-up. Mt. Diablo Resource Recovery offers 3 different brown garbage cart sizes, 32, 64 and 96-gallon. MDRR also provides a 64-gallon blue recycling cart, and a 96-gallon green yard waste cart. Food, Foam Products, Snack Chip Bags, Candy Wrappers, Paper Towels, Napkins and all other items that are NOT recyclable or are too dirty to be placed in the blue recycling cart. 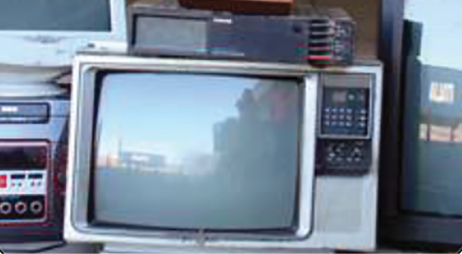 Any Electronic Waste, Household Hazardous Waste or any CLEAN items that can be recycled or reused. PLEASE NOTE: Place all cold ashes, kitty litter, sawdust and foam peanuts in a tied plastic bag. For the safety of our employees and your neighborhoods, please do not put batteries, cell phones, laptops, Household Hazardous Waste, e-waste, hot ash, used oil, filters or oil rags in any of your carts. These items are extremely dangerous and may cause fires in your cart or our trucks. Thank you for your cooperation and doing your part to protect our environment. You may deliver your extra garbage directly to the Mt. Diablo Resource Recovery Park at 1300 Loveridge Road in Pittsburg, open daily from 7AM to 6PM including weekends. Call us for prices at (925) 473-0180. Household Hazardous Waste Too Toxic to Throw Away! All of these items may be taken to: Central Contra Costa Household Hazardous Waste Collection Facility, 4797 Imhoff Place in Martinez. Open Monday through Saturday from 9AM to 4PM. Disposal is free of charge for Concord residents. If you have computers, appliances, or televisions, please call us at 925.682.9113 to schedule a special pick-up. 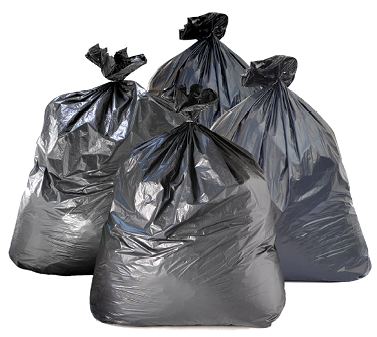 See list of special handling for other waste materials on Concord Services Page. For more information call (800) 646-1431 or visit www.centralsan.org. Paper products: Cardboard, cardboard tubes, newspaper, copy paper, colored paper, chipboard cereal boxes, paper bags, shredded paper (in paper bags), boxes, windowless envelopes, non-glossy paper, manila folders. Plastic Products: Plastics #1-5 & #7: Soda & Water Bottles, Laundry Detergents, Shampoo & Conditioner Containers, CLEAN Milk Jugs, Bleach Containers. We will accept #3, 4, 5 & 7 Plastics BUT they must be clean. Please, no food residue or liquid. We cannot accept items with food residue on or in them. Glass Products: Glass Bottles, Juice Bottles, CLEAN Baby Food Containers, Glass Jars. Batteries of ANY Kind, Laptops, Cell Phones, Tablets, Household Hazardous Waste, e-Waste, Garbage, Chipboard, Glossy Paper, Items with food residue or liquids, Yard Waste, Oil, Filters or Rags, Styrofoam, Diapers, Wires, Plastic Bags, Paper Plates, Plastic Utensils, Wood, Pizza Boxes, Recycling Products with food residue on them. PLEASE NOTE: CLEAN all recyclables-Dirty Items are NOT Recyclable! 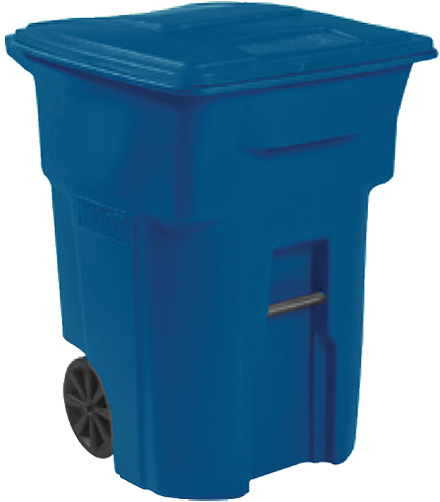 We can NO LONGER ACCEPT items with food residue, liquids, or other contaminates in your blue cart. We do NOT clean recyclables before processing. Contaminated items cannot be recycled into new products. PLEASE NOTE: All acceptable yard waste must fit in the yard waste cart, with lid closed. If you have an excess of yard waste on a particular week and need an extra pickup, please call Mt. Diablo Resource Recovery at (925) 682-9113. If you have an excess of yard waste on a weekly basis, an expanded weekly service is available. Please call the office for details.